Once upon a time a mad god of darkness decided to create a game. The board was set, the pieces were moving... ..and it looked like that. Real life is taking its toll and I will be somewhat busy in the coming weeks so I've decided to delay the addons contest end a little. You have up to the 31 january to publish your addon! Get cracking if you have not already done so! Vote for Tales of Maj'Eyal on IndieDB's Indie of the Year! This year again, Tales of Maj'Eyal is in IndieDB's Indie of the Year poll. Thanks, you may now resume dying ingame to strengthen my throne of tears! Tales of Maj'Eyal is now on GoG ! I am happy to say today Tales of Maj'Eyal and Ashes of Urh'Rok have been made available on GoG.com ! 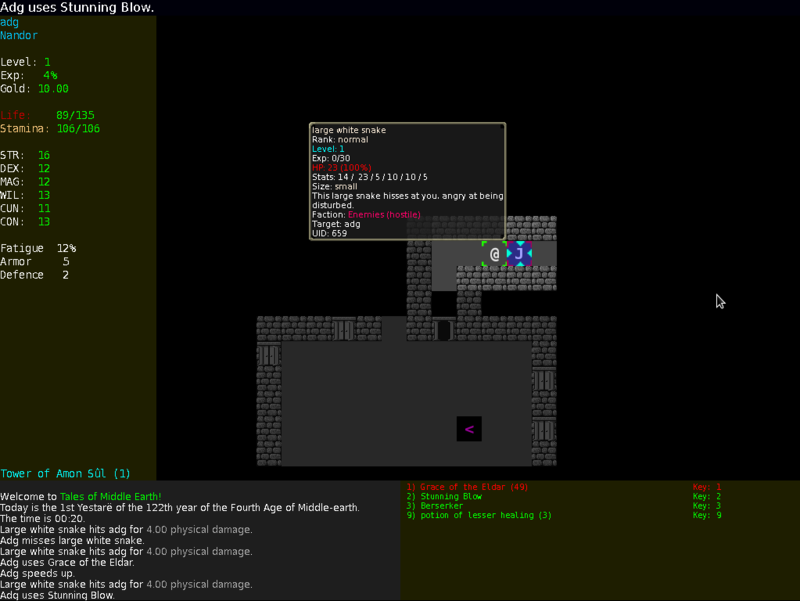 Tales of Maj'Eyal 1.2.5 aka "Back and back and back to the future" is released!